Look at that smile (and beard)! 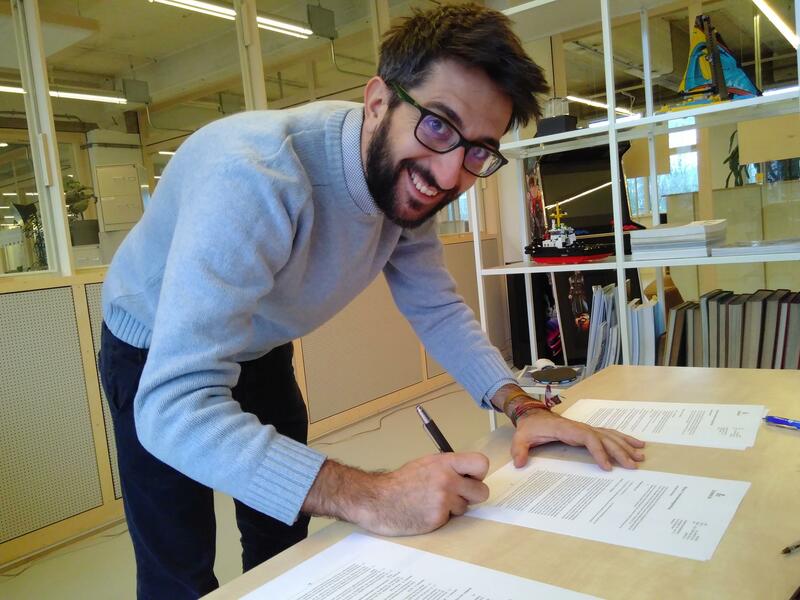 Francesco Verzura just signed his contract as structural engineer. Starting immediately, he will bring his extensive experience in designing, engineering and building with natural materials such as hay, earth and bamboo to the table, beginning with the Terramia project. He’s also our first official employee! Read more about Francesco here.